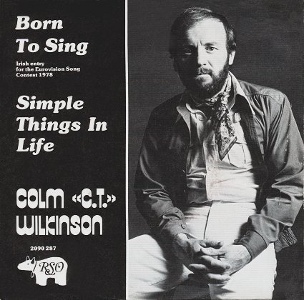 Colm Wilkinson was in touch to say that some of the details in the following biography are incorrect as they're taken from vintage press articles written by lazy journalists who got the facts wrong. He wasn't more specific, so I am unable to correct specific errors, and if I have to choose between the myth and nothing, I'll take the myth thanks--ed. Born Dublin 1944. 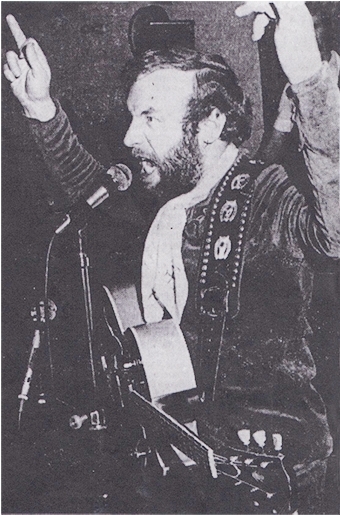 Colm C.T. 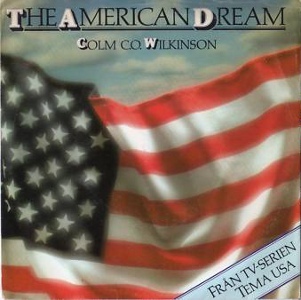 Wilkinson is a highly regarded singer with a strong, soulful voice whose recording career took several years to get off the ground. In 1960 at the age of 16 he joined the Chris Lamb Band. In an interview in 2007 he mentioned travelling to New York when he was 16 with a showband which included Louis Stewart on guitar. Was this Chris Lamb's band? The journalist didn't ask. By the mid-60s was singing with The Action, playing tennis and cricket clubs in suburban Dublin, offering a mixture of blues, soul, R&B and some Rock & Roll. 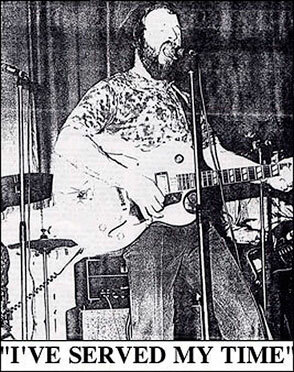 He also played with Mick Ryan and the Four Keys and the Jim Doherty Band. 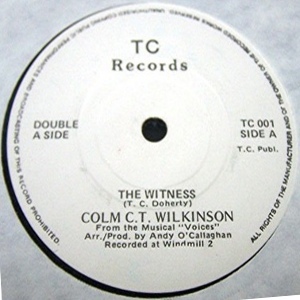 When success eluded him, he gave up singing and returned to his day job, but after a few years he was back, this time with a showband The Witnesses (ca 1967-69), a northern group who were very popular in the clubs in Ireland, played soul and R&B in the army bases in Germany, and who also played hotel residencies in places like Puerto Rico, Nassau and the Bahamas, where they performed before and later met Elvis Presley. The Witnesses eventually relocated to Montreal in Canada. 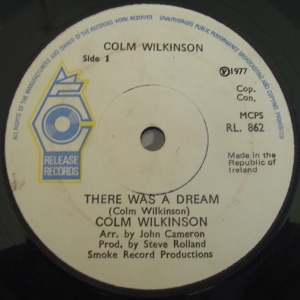 Wilkinson left the band in 1970, returning to Ireland and playing low key solo gigs mainly in the Dublin area for the next couple of years. "I've served my time"... Spotlight magazine, 1973. Wilkinson eventually found fame and fortune though his involvement in the world of musical theatre, in particular the musicals of Andrew Lloyd-Webber. His breakthrough was landing the role of Judas in the Irish cast of Jesus Christ Superstar produced at The Gaiety Theatre in Dublin in 1973. A year later he was pinched by the London production, which had been running since 1971 and had regular problems with the role of Judas as it a very demanding part. From here on he never looked back. He remained in the London cast until 1976. 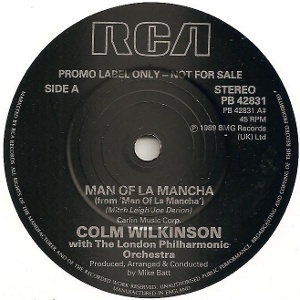 Wilkinson made his recording debut in 1975 on the Demolition Man soundtrack and followed it the year after with Evita, singing the role of Che Guevara. 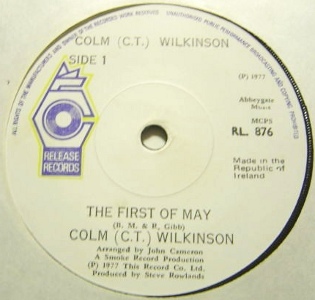 He signed a solo deal with DJM Records in 1976 who released his debut single in April but for whatever reason DJM chose not to release his debut album, which was an Irish only release on Solo Records in 1977. Surprisingly, this has been his only proper solo LP release to date. 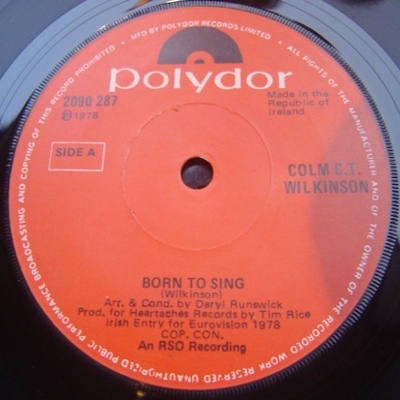 He finished well in the 1977 National Song Contest with "There Was A Dream" (#2 hit in Ireland) and won it a year later with his own composition "Born To Sing", and duly went on to represent Ireland at the 1978 Eurovision, finishing fifth. Clive James ridiculed the song in the Sunday Times, writing that the title was clearly an oxymoron! (Has anyone heard Clive James LPs for RCA?) 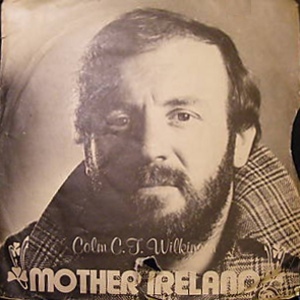 More musicals followed, and in the mid-80s Colm appeared in "Les Miserables", which eventually became a Broadway smash, establishing his fame worldwide. Les Mis is probably the role he is best known for . . . although in Ireland the Donnellys Sausages, Squeeze orange juice or Renault 4 adverts would come a close second. Entered the Irish charts on 10 March 1977 for a 9 week run, peaking at #2. 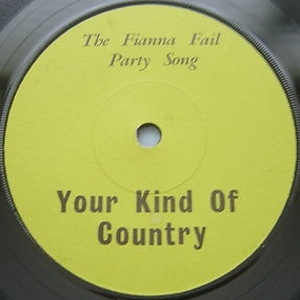 Notes: Promotional single issued by the Fianna Fail political party during the 1977 General Election in Ireland. The song is intended to inspire shiftless young people to become interested in politics. Instead it had them reaching for the off switch on their radios. One of the worst singles ever recorded. 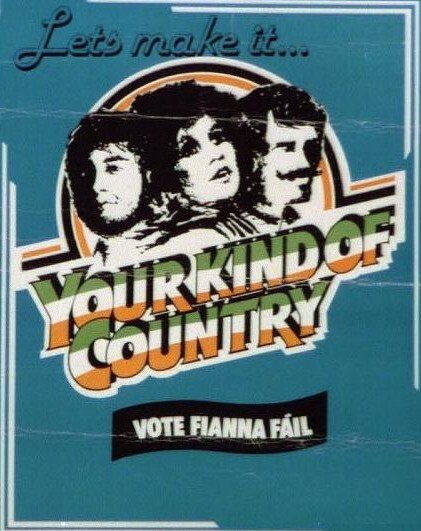 See also Cathal Dunne for more election tune madness. Solo Records distributed by Release. #1 in the album charts for 8 weeks in 1978. Notes: All songs by Colm Wilkinson unless otherwise stated. A mixed bag. Some tracks feature orchestration, others a small band format (no brass). There are no credits apart from arrangers (John Cameron, Dave Gold, John Tate and Noel Kelehan) and producers (Steve Roland, Tommy Ellis and Colm Wilkinson) which is a pity, as it would be interesting to know who plays on these tracks. . 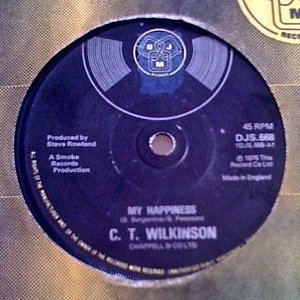 Most of Wilkinson's originals are gritty pop-rock or R&B numbers. The others expand his range, though some of his singing sounds derivative on these tracks. Nevertheless a very good album. 1978 Eurovision entry, finishing fifth. Entered the Irish charts on 20 April 1978 for a 4 week run, peaking at #8. K-Tel Ireland's first LP release! A-side by Clifford T.Ward, B side by C.T.Wilkinson. Entered the Irish charts on 8 July 1979 for 1 week, peaking at #24. Entered the Irish charts on 9 September 1979 for a 3 week run, peaking at #23. • Bring Him Home / Who Am I? LP - Telstar - STAR 2262 - UK - 198? Credited to Colm Wilkinson with the London Philharmonic Orchestra. Promotional single for the Stage Heroes LP. LP - RCA / BMG - 60416 - Euro - 199?